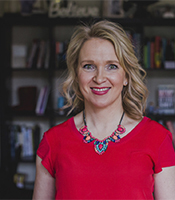 Dr. Mandy Lehto is an in-demand coach, corporate trainer, and writer in London. She coaches world class people on their mindset, resilience and personal presence. She has a doctorate from Cambridge University, and in her former career, was a Director at a global investment bank. 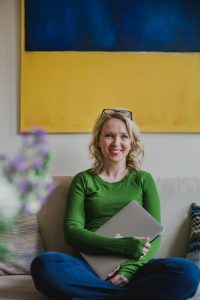 She has written for, or featured in, Psychologies Magazine, The Sunday Times, Psychology Today, Top Sante, The Huffington Post, eFinancial Careers, and on CNBC. Even earlier back, Mandy’s eclectic list of jobs includes working at a funeral parlour; teaching aerobics classes in a shiny leotard; tutoring disadvantaged children; note-taking for the deaf; and image consulting in the City. 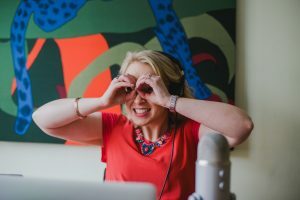 When Mandy isn’t working (rare for this Type-A-Aries), she’s talking about life lift-off on her podcast, MoxieCast, or is learning about the meaning of life from her kids, Max & Nina. A self-professed nerd, Mandy is happiest sitting in a sunbeam on the sofa, geeking out with a book, sipping matcha tea. She’s Canadian, speaks Finnish, and her kryptonite is dark sea-salted chocolate.